You are here: Home / Blog / blog article / Why Vacuum Flask is called “THERMOS”? “THERMOS”, a word came from Greek meaning “heat”. In 1904, there are three Germans in Berlin manufactured the first one Vacuum Flask with glass inner wall in the world and named it “THERMOS”. compare hotels . They opened the new chapter of the history for the product industry and the product design. Even more, it was the leader in both print advertising history and product packaging history. 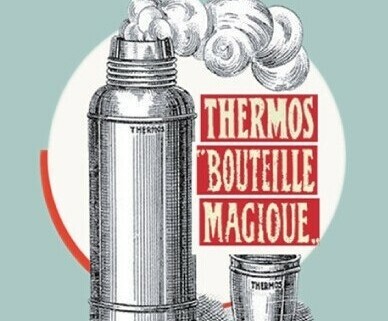 In 1908, “THERMOS” vacuum flask was imported to Japan. Since then, THERMOS flask has never been so popular than before in human life. 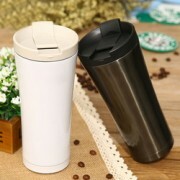 Further, it is well-known and used everywhere after more and more adventurer travelling with the THERMOS Mug or Flask. By 1957 the Thermos brand vacuum bottle was known almost universally for use with food and beverages (Coffee Mug). By the time, “THERMOS” became another official name of Vacuum Flask, which was recorded in English dictionary. In 1966 Thermos introduced the world’s first stainless steel vacuum bottle. This product would go on to revolutionize hot and cold beverage storage around the world. expired domains . Nowadays, the THERMOS insulation technology is developing widely useful not only in food and beverages, but also in science, medicine and industry. Thermos Flask & Mug – Ideally suited for transporting any beverage. https://www.trianglehomeware.com/wp-content/uploads/2018/01/TRIANGLE-LOGO.png 0 0 Triangle Homeware https://www.trianglehomeware.com/wp-content/uploads/2018/01/TRIANGLE-LOGO.png Triangle Homeware2014-06-25 03:15:222016-09-18 03:17:49Why Vacuum Flask is called “THERMOS”?